Cliff and I have been struggling to find time for ourselves. I guess it’s typical of families with young kids. But really, it’s my fault. For a long time, I let my fears get in the way, and refused to get a babysitter. I worried about messing up Joshua’s routine, and I worried about not being there if something happened. To make a long story short, I finally started letting go a bit more. Cliff and I had our first night out in…forever…a few weeks ago. It made me realize how much we need that time together. So tonight we went out again after the kids went to bed. We saw this really cool photography idea on the internet and thought we’d try it tonight. 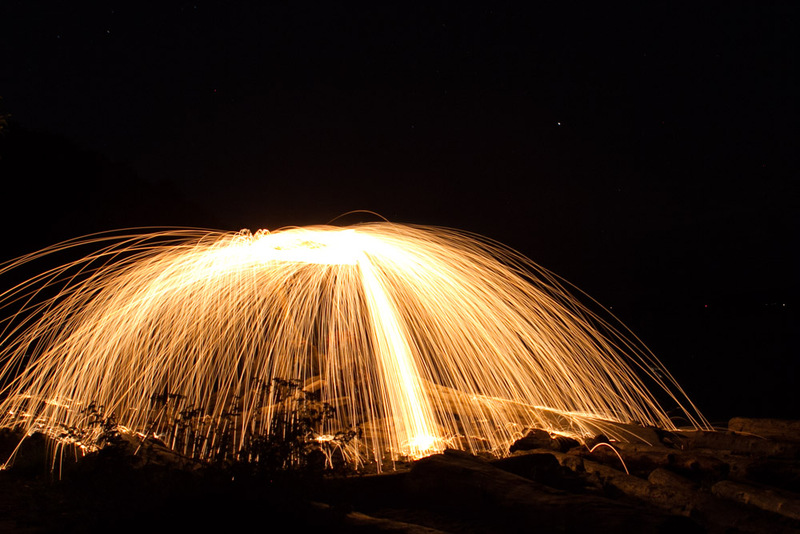 You whip around a piece of burning steel wool to create spark, and leave the camera shutter open to capture the beautiful streams of flying sparks. So we headed out to the beach tonight, and brought our bag of steel wool burning supplies with us. It was pitch black at the beach. I felt like a teenager, sneaking around, up to no good. When Cliff lit up the steel wool and started swinging it, the sparks flew and it looked really cool. The wool would burn out in about 15-20 seconds, so that’s how long I would leave the shutter open. I thought the pictures looked beautiful. We went to a local pub afterwards for a drink, and enjoyed each other’s company. That was a short but fun night, with cool photos to boot. 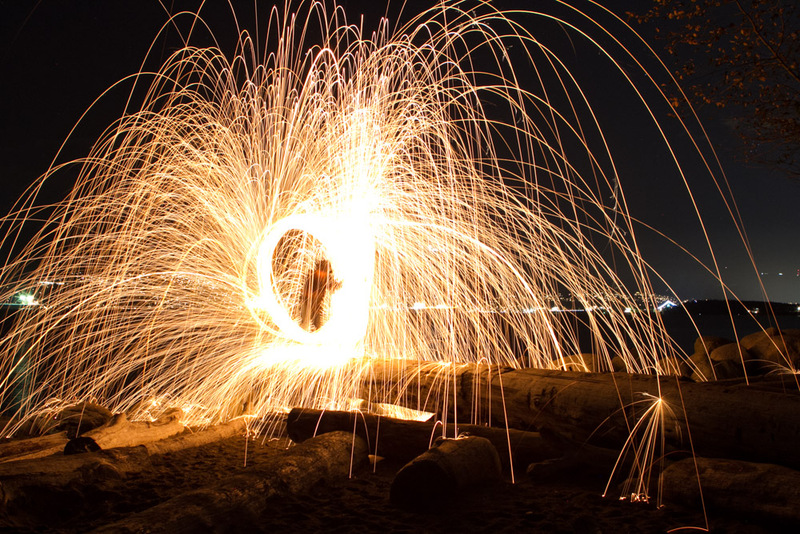 This entry was posted in Photography and tagged beach, painting with light, photography, Spanish Banks, spark, steel wool, Vancouver by angelasaito. Bookmark the permalink.